Raising the efficiency of your logistics and loading systems. At Pickerings Lifts, we do not just fit loading systems. We work with you, using our in-depth technical expertise in this specialised field to ensure that every part of your system is achieving maximum efficiency. From the initial design and project planning to installation, commissioning and aftersales support, we provide a solution tailored to your business. Every product we specify and expertly install, meets the latest safety regulations and improves your environmental credentials. We believe in taking an open and honest approach in everything we do, so our customers know they can rely on us. Double deck trailers are one of the most effective means to simultaneously rationalise distribution costs and lower carbon emissions. So much so, they can reduce running costs by up to 40%, compared to the equivalent single deckers, realising a potential saving of up to £90k a year. For grocery and retail distribution, this still remains unmatched. 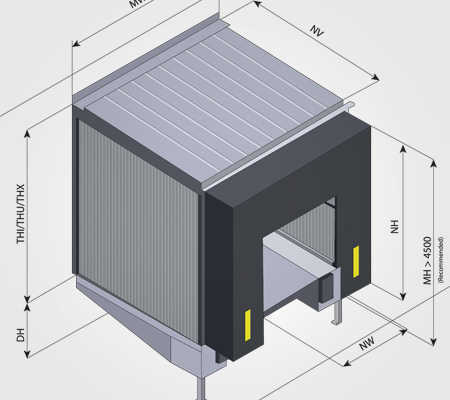 This housing system combined with the loading ramp forms a stand-alone docking system, which when attached to the building, extends storage space and provides thermal insulation. 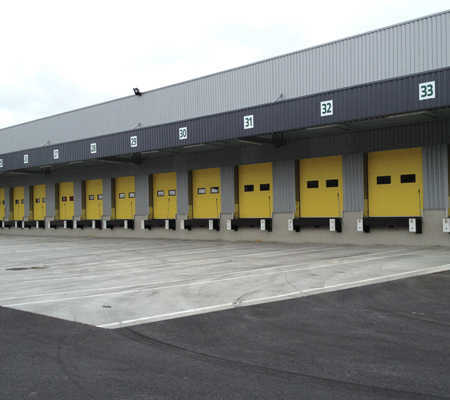 It comprises of a dock leveller, dock shelter and sectional door which offers decisive advantages over conventional internal ramps. The hot-dipped galvanised steel frame comes as standard with optional water drainage systems and façade elements to match your building. Available as single or multi scissor lift tables provide the load capacity, lifting height and platform size to suit your specific application whilst complying with EN BS 1570. They can be pit installed or floor mounted, sited indoors or outdoors. 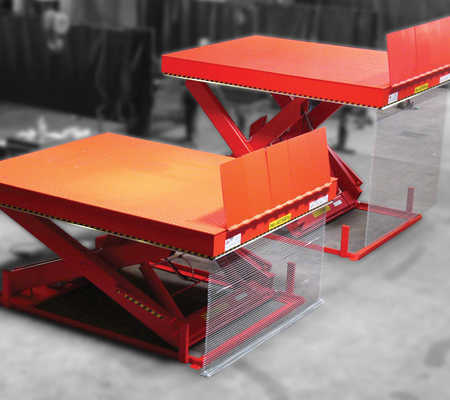 Whether your requirement is within the warehouse, loading bay, production line or packing area, we can design a scissor lift table to solve your materials handling problem. A common accident where the truck driver pulls away believing loading is complete or connecting to a wrong trailer. 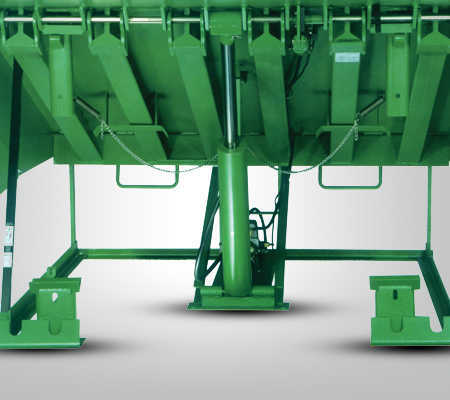 Air-ride trailer suspension has a tendency to move in an elliptical fashion as fork lift trucks drive in and out of the trailer, resulting in the dock leveller slipping off the trailer bed and dropping suddenly. Constant impact of the start/stop action of a fully loaded fork lift can cause the trailer to creep forward inch by inch beyond the reach of the leveller lip, causing the leveller to slip off the trailer bed and drop suddenly. When a trailer is uncoupled from the tractor unit and the landing legs lowered, it can tip forward if too much weight is placed towards its front. This can be caused by a heavy load or the use of heavy equipment, such as a fork lift truck. A parked up vehicle can be subjected to roll away. The movement caused by gravity and/or wind rather than forces associated with loading/unloading equipment. 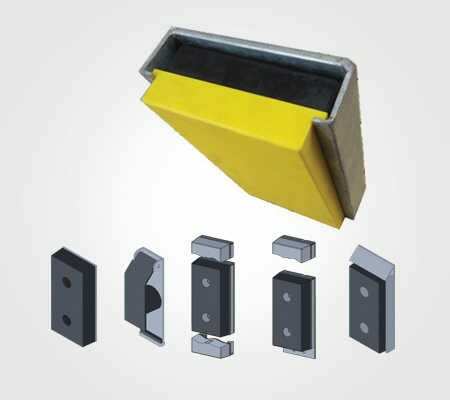 We can ensure your loading dock is compliant with current health and safety legislations by installing a comprehensive range of accessories designed to complement your loading bay. 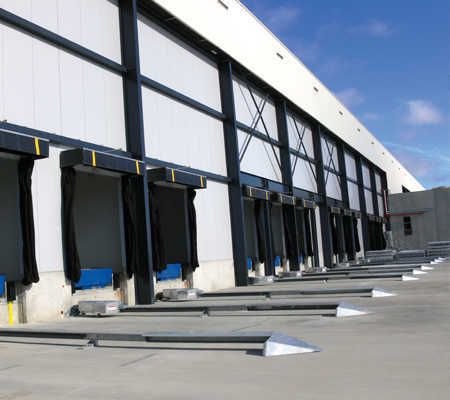 All are compatible with most loading docks and will improve the efficiency of loading/unloading. Working in partnership with Dynaco High-Speed Doors, discover the benefits of this highly technological and innovative product. Moreover, these fast roll-up doors will help your industrial customers run their businesses in an improved and more cost effective way. High speed roll up doors have a superior seal around the full perimeter of the door. Combined with a fast door cycle, this tight seal strongly limits air exchange, helps to save energy and keeps contaminants out. 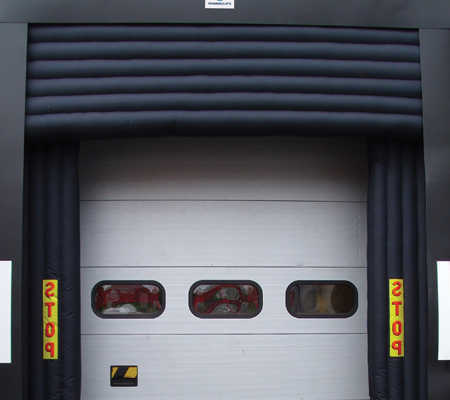 High speed roll up doors are equipped with a self-reinserting flexible door curtain. Should the door curtain accidently get dislodged due to the collision with a person or vehicle, just open and close the high speed door and the door curtain will reinsert itself into the side guides. High speed roll up doors open and close very fast. They offer a high degree of efficiency thanks to a wide range of opening commands. Automatic opening and closing results in considerable time savings and improves the efficiency of your daily operations, material flow, traffic of personnel and goods. A high speed roll up door for exterior use is very wind resistant and withstands extreme winds. The strong flexible door curtain is tightly sealed around the full perimeter of the door. Depending on the size and the type of the door wind loads up to class 5 of the European standard EN 12424 can be resisted. Flexible high speed roll up doors have a soft and lightweight door curtain free of rigid elements. When the curtain hits a person, product or vehicle it simply folds around this obstacle. No damages or injuries will be caused.